As you may already know, Pit Bulls have a long-held bad reputation that they don’t deserve. You might recognize them as the first dog to be typecast in the role of a bad guy’s vicious canine companion. You might also know they have been the targets of unjust breed specific legislation (BSL), which has never been proven to be effective in preventing dog bites. But what you might not know is that all of this negative imagery has caused Pit Bulls to have a 93 percent euthanasia rate in U.S. shelters. Sadly, many people choose to not adopt these dogs because they think they are vicious or aggressive, and the dogs are the ones who suffer. 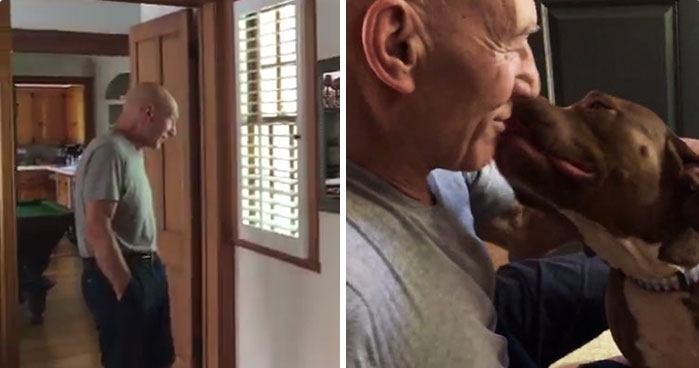 That’s why we were so excited when Sir Patrick Stewart, the actor famous for playing Captain Picard and Professor X, posted a video meeting his very first foster Pit Bull, Ginger. You can watch the magic happen here — trust us, it’s adorable. We can’t get enough of her and neither can he. He’s been promoting her greatness on any outlet he can, including late night talk show Conan. And yesterday, he posted this amazing video where he attempts to teach Ginger to be comfortable swimming in a pool and is met with a vicious kiss attack. Hey, if your attempt to teach your pup something new is going to fail, this is the best way for it to happen. Why is this so amazing? 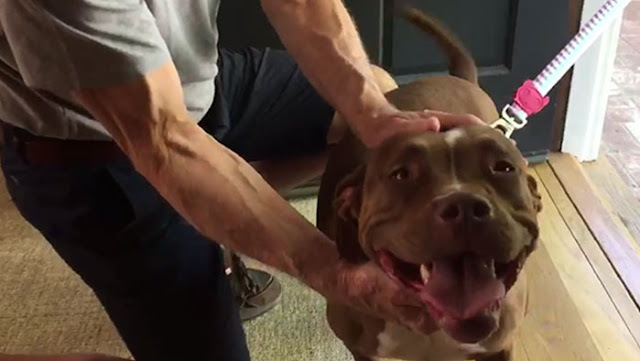 Not only are we being treated to adorable videos featuring one of our favorite actors and a cute dog, Stewart is showing millions of people how sweet and loveable Pit Bulls really are. We have no doubt that he’ll help find Ginger a forever home in no time — and hopefully, he’ll inspire more people to get out there and foster or adopt a Pit Bull of their own. Responses to "Sir Patrick Stewart is Adorably Obsessed With His New Foster Pit Bull"